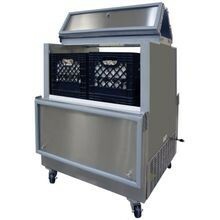 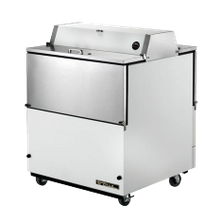 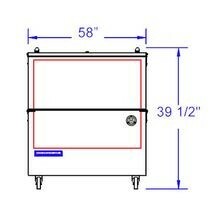 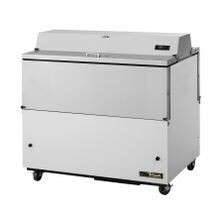 Milk Coolers | Milk Chillers | Singer Equipment Co.
Beverage Air SM34N-W School Milk Cooler, normal temperature, 34-1/2" W, 31" D, 13.6 cu. 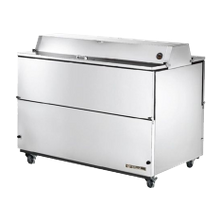 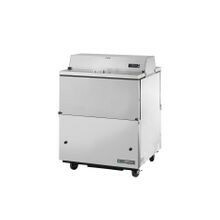 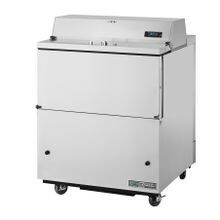 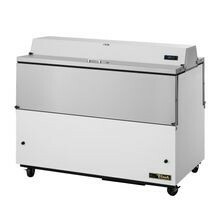 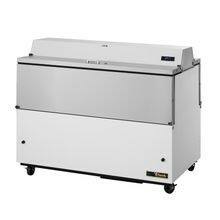 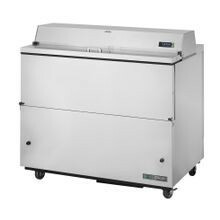 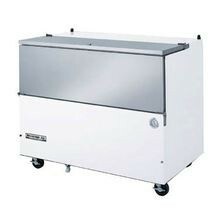 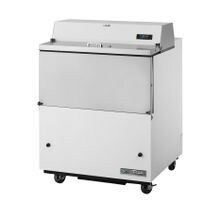 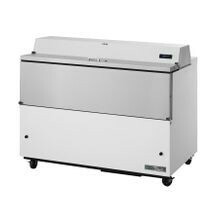 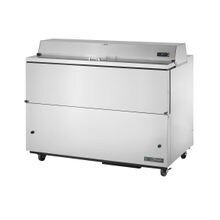 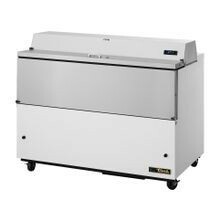 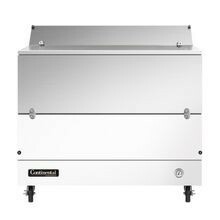 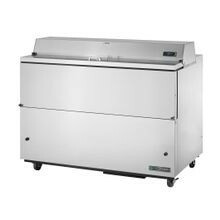 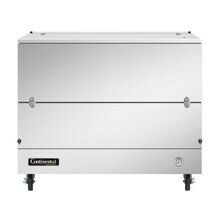 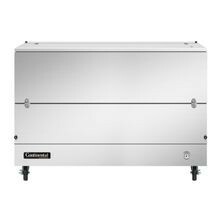 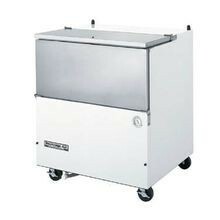 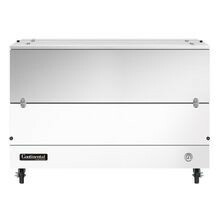 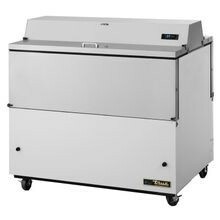 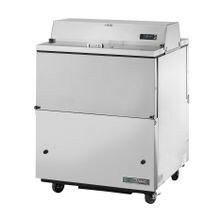 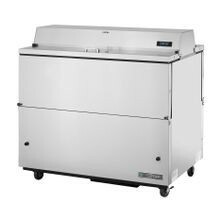 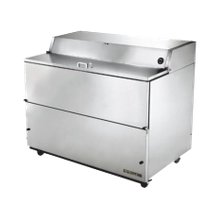 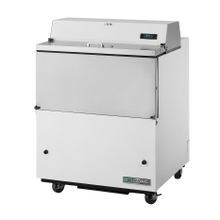 ft., single access, flat top carton capacities, (8) 13" x 13"
Beverage Air ST58N-S School Milk Cooler, normal temperature, 58" W, 31-1/2" D, 24.0 cu. 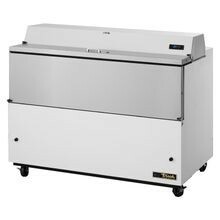 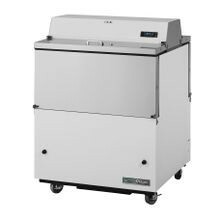 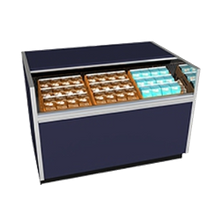 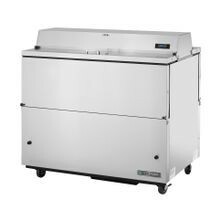 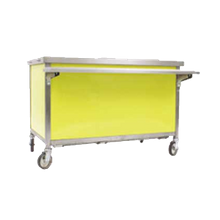 ft., dual access, flat top carton capacities, (16) 13" x 13"
Typically found in schools and institutions, milk coolers provide safe serving temperatures for milk and other beverages. 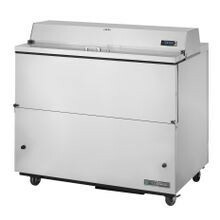 Milk coolers can have top or bottom mounted refrigeration units with open, side lifting doors or top mounted doors that are hinged, lift-off or sliding. 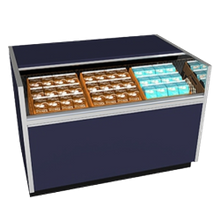 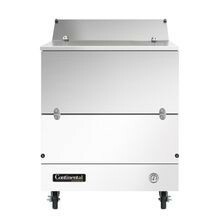 They have varying carton and crate capacities to fit your foodservice operation’s needs.